Shop our entire assortment of art posters and prints here! We carry a wide selection to complement every home and decor style. We continually update our designs of popular prints and exclusive motifs so that you can always find something just for you. Give your walls a facelift and decorate with trendy posters from Desenio! Welcome to Desenio’s webshop! We offer a wide assortment of modern and trendy prints and posters online. 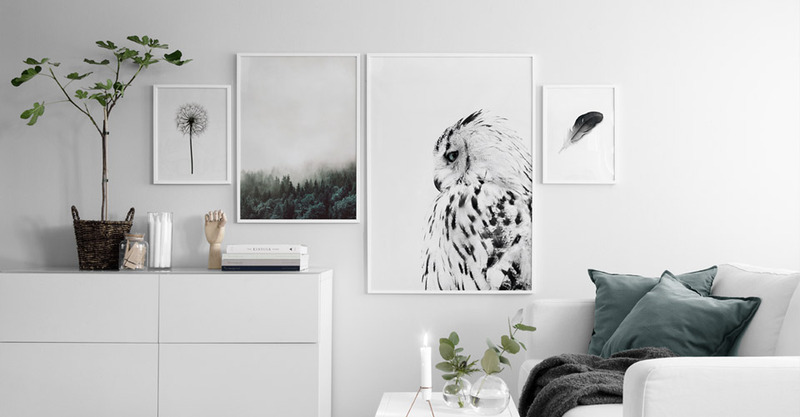 With a focus on primarily Scandinavian design, our trendy posters complement a variety of interior styles. We offer popular wall posters from famous artists and photographers, as well as Desenio-exclusive prints developed by our creative team. Our posters are organized by category so that you can easily find what you are looking for. Also make sure you check out our Bestsellers to see our most popular posters. Regardless of whether you are looking for wall art for a bedroom, living room, kitchen, or kids room, we offer a large assortment of trendy prints that suit every room. All posters and prints are high-quality and printed on uncoated, thick paper with a matte and exclusive finish. We also offer fast delivery and secure payments. Have questions? Contact our customer service department, and we’ll be more than happy to help you out. Buy your modern art posters and prints at Desenio to infuse your home with personality! Based on 16951 omdömen. See some of the reviews here.